Currently viewing the tag: "Algebraic expressions"
Copy this pattern. You could use toothpicks or paper sticks or draw the pattern on isometric paper (download here). Make or draw the next 3 patterns in the sequence. 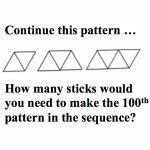 How many sticks would you need to make the 10th pattern? What about the 100th pattern? This lesson is about moving between different representations of distance-time functions, namely between graphs, stories and tables. 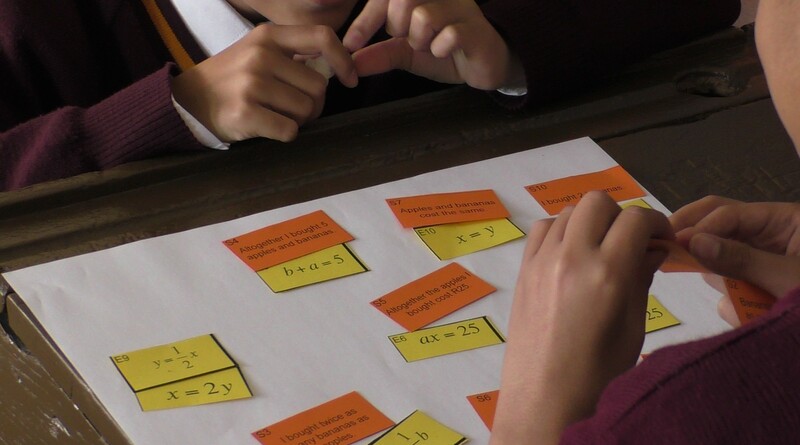 This activity should be given to the class as a formative assessment activity: it is designed to provide the teacher with information about the learners’ current levels of understanding. 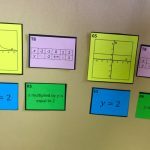 This lesson is about moving between algebraic equations and the statements that they represent. 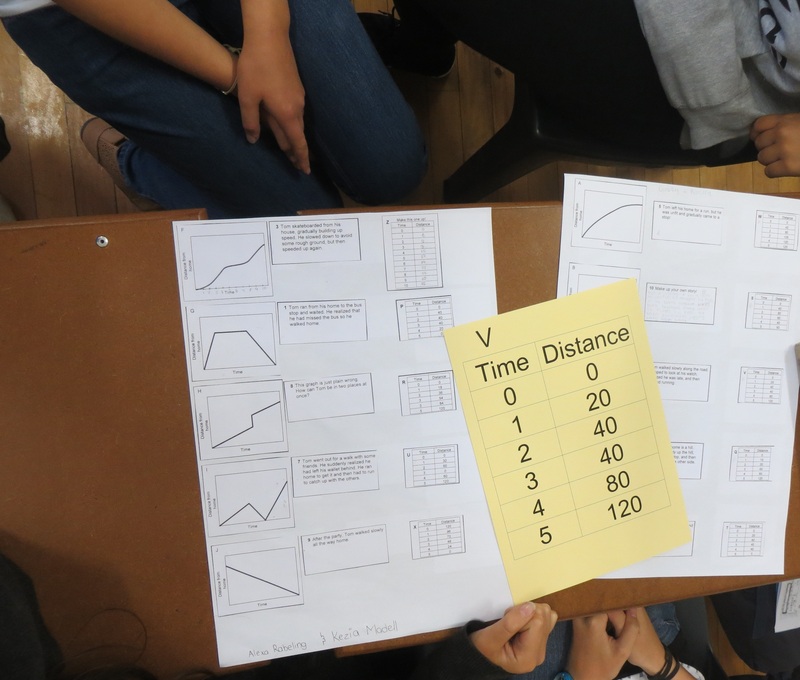 This activity should be given to the class as a formative assessment activity: it is designed to provide the teacher with information about the learners’ current levels of understanding. 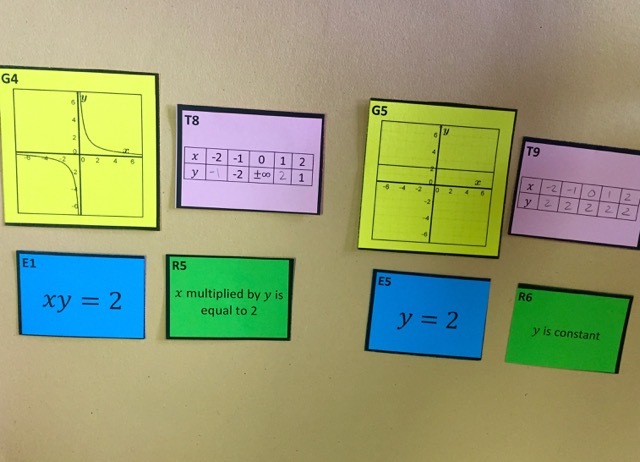 different representations of algebraic relationships, namely equations, graphs, tables and words. 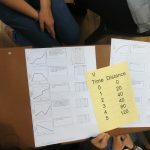 This activity should be given to the class as a formative assessment activity: it is designed to provide the teacher with information about the learners’ current levels of understanding. Grades 11 to 12 – Almost Total Inequality? For what other values of x is A the greatest? For what values of x is B the greatest ? 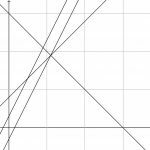 For what values of x is C the greatest? Imagine a large cube made up from 27 small red cubes each measuring 1 cm by 1 cm by 1 cm. What is its volume? Imagine dipping the large cube into a pot of yellow paint so the whole outer surface is covered. What is its surface area? Find a cuboid (with edges of integer values) that has a surface area of exactly 100 square units. Can you provide a convincing argument that you have found them all? Click here for Notes for Teachers. 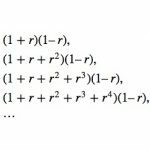 If three of the four expressions: 2x – 3 and x + 8 and 2x + 3 and 30 – x are equal, find their value and which expression is the odd one out. Here is an alternative version of the “Think of a Number” trick. Think of two whole numbers under 10. Take one of them and add 1.